I was at Usinger's this morning to pick up some of their awesome hickory-smoked bacon. While I was there waiting my turn at the counter, I took a few photos of the decor. 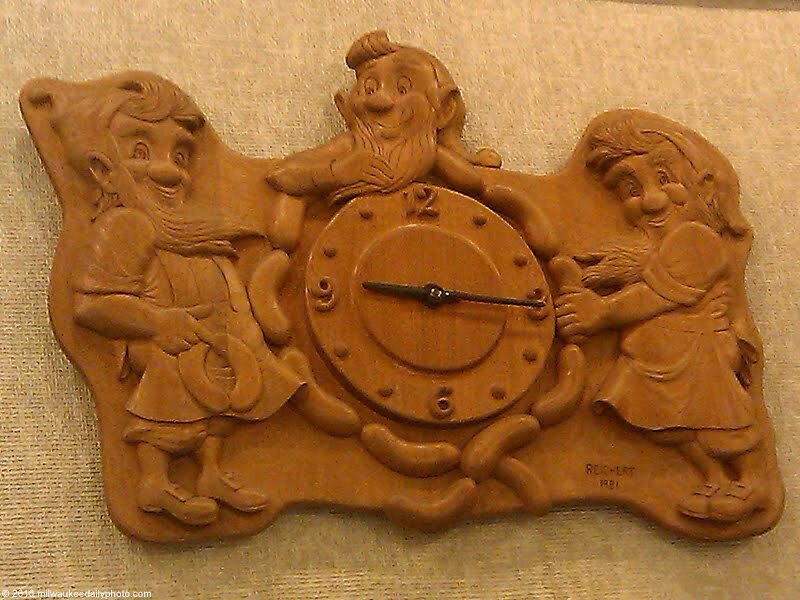 This wall clock shows three happy Usinger's Elves and a chain of sausage links surrounding the dial. I'm looking forward to eggs and bacon tomorrow morning! Usinger's -- fond memories of that place. And I'm happy to know that it is still there, with its retail operation ... and luckily, the packaged items can be found in the supermarkets here in CA. Bravo for your nice Milwaukee blog -- keep up the good work!